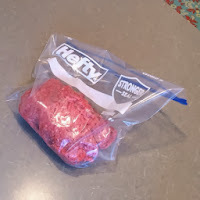 A gallon-sized Ziplock bag will easily hold anywhere from 1 pound to 1 1/2 pounds of meat with this method, less meat may fit better in smaller bags. More may fit, but the burgers will be significantly thicker. Roll the meat into an even flat layer within the bag. 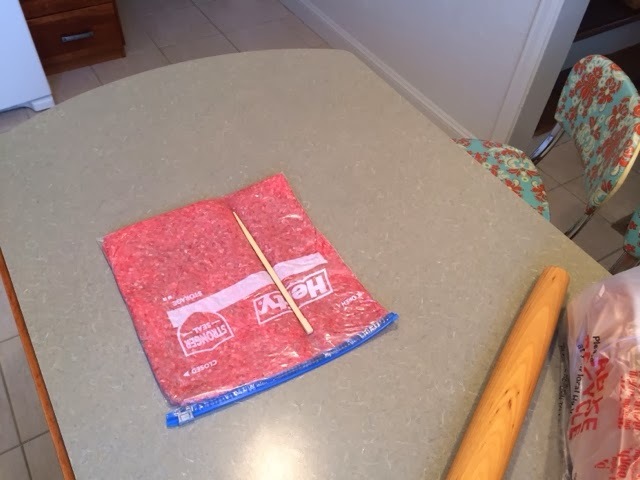 Leave the corner of the bag open to let the air escape and then seal it tight once the air is removed. Use a chopstick or other straight edge tool to make an indent into the meat. Draw the end across the indent to make a deeper groove. 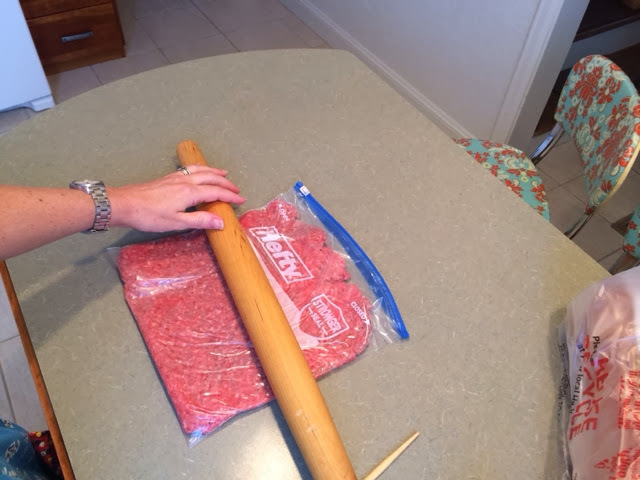 Portion the meat into equal sized servings. Turn the bag over and draw the lines again to reinforce the divisions. 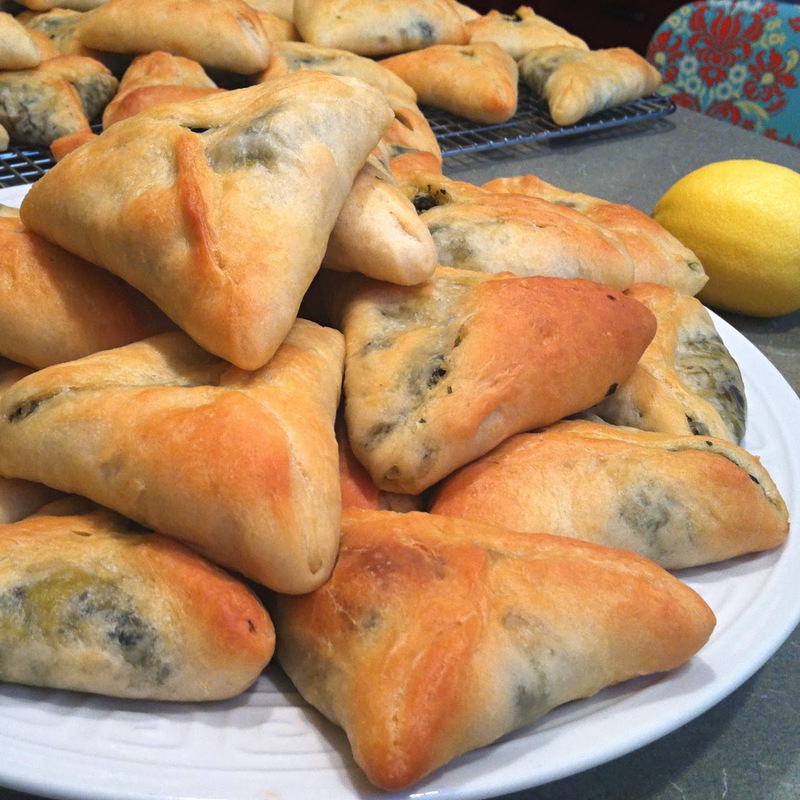 Lay the bag on a flat pan or cutting board and place it in the freezer until frozen solid. 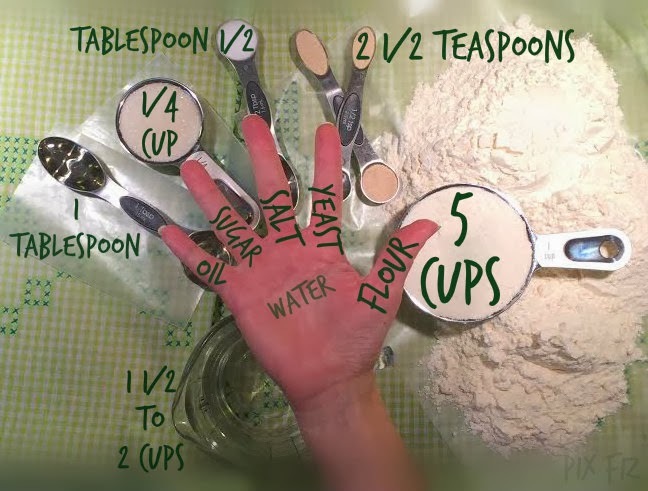 Then remove the pan and store in any position. 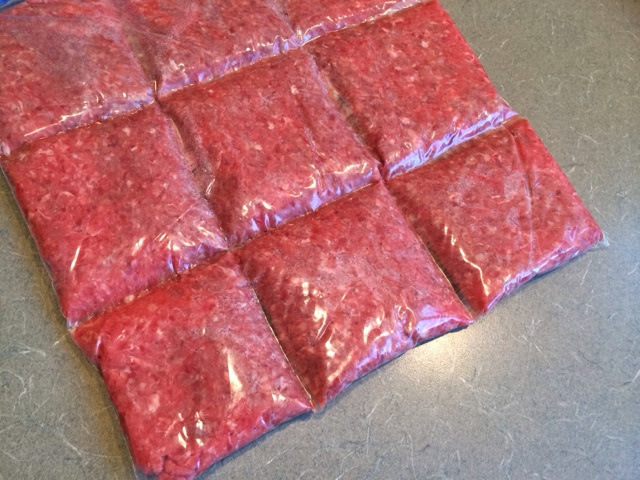 Thin meat thaws at a fraction of the time the solid chunk does so it is ready for any use beyond burgers much quicker. 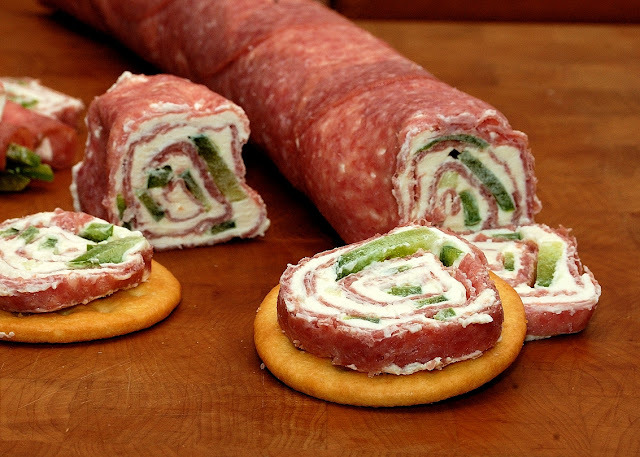 Thin burgers are ready for lunch or a snack anytime the mood strikes. Toss them on to any hot pan and fry them straight from frozen. Salt, pepper, and a bun is all that is needed. Toast a frozen bun on the warming pan to thaw it. 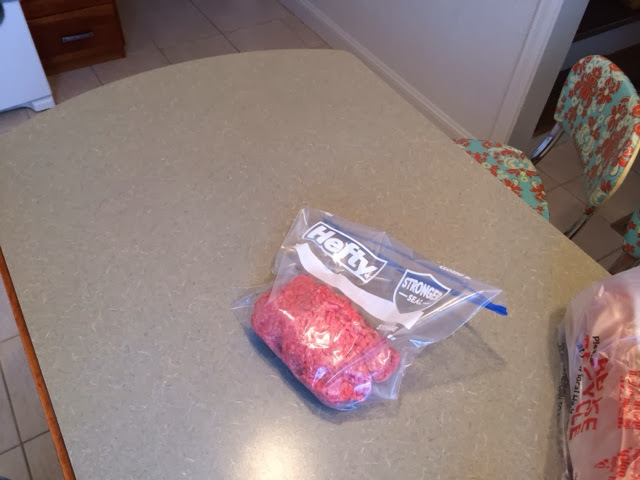 Frozen flat hamburger is easier to store in the fridge than an odd shaped lump. Air (oxidation) causes freezer burn. 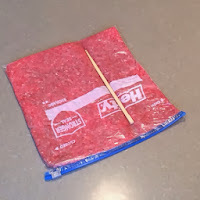 Forcing the air out keeps the meat from taking on any unpleasant flavor (freezer burn is actually safe to eat, just tastes bad) but this makes the meat so accessible, that it probably won't last long enough for that to happen anyway. The meat will freeze into a somewhat solid chunk but a good whack on the counter will break it apart along the score lines. 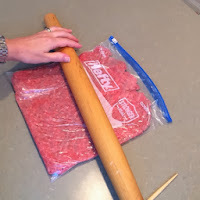 Remove the meat from the bag while still frozen, they practically pop out; much easier than if thawed.